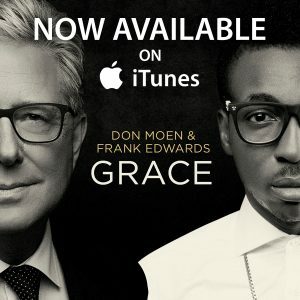 I just released my newest project, Grace – an EP with Frank Edwards – on iTunes & Spotify. I’ve known Frank for a few years now and after numerous talks about working on a collaboration, we finally decided to do it. We started recording in early 2015 on one of my trips to Lagos, NG where I visited his studio and began working on the project. In early 2016, Frank visited my hometown of Nashville, Tennessee where we laid down vocal tracks for the record. Throughout the recording process, we were also writing and tweaking the songs. If you’ve listened to the record, I’d love to hear what you favorite song is – leave a comment below to let me know! Don’t forget to share this post with your friends.